In my previous post I mentioned how frustrated I was with myself at how I couldn’t get my card to work. 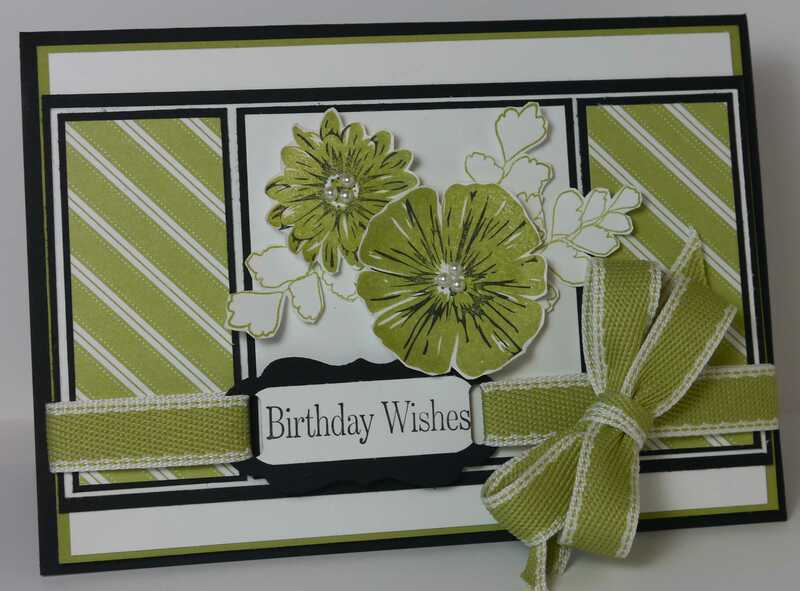 This card came together without much effort at all – isn’t it strange how things just fall into place sometimes? 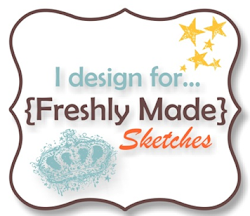 Here’s this weeks cool sketch at Freshly Made Sketches created by Jennifer Timko – have I mentioned before how much I love a sketch challenge? It’s a school night and I’m posting! Shocking, I know. 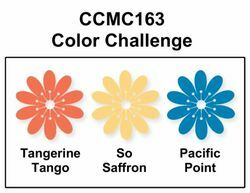 I’ve combined challenges for my card tonight -Ann’s colour challenge at The Paper Players Challenge – and the sketch challenge from Mojo Monday. 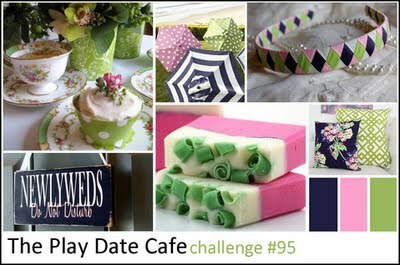 The next card I created tonight is for The Play Date Cafe Challenge and for a new challenge I’ve found called Freshly Made Sketches. 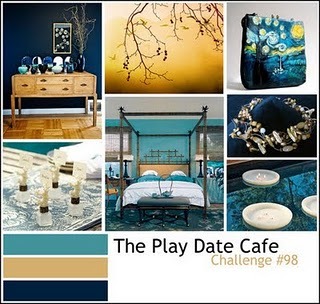 Head over to their challenge sites by clicking on their names and check out what the design teams have come up with. I struggled with this card this afternoon and decided I needed a little inspiration so I resorted to throwing ABBA on the Ipod and unbelievably it worked and came up with the following card. 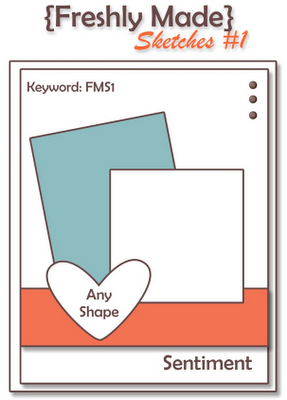 And this is the sketch I’ve used to design my card for the The Sweet Stop Sketch Challenge. This is my last challenge for the weekend and I’m just sitting down to watch the finale of The Block. 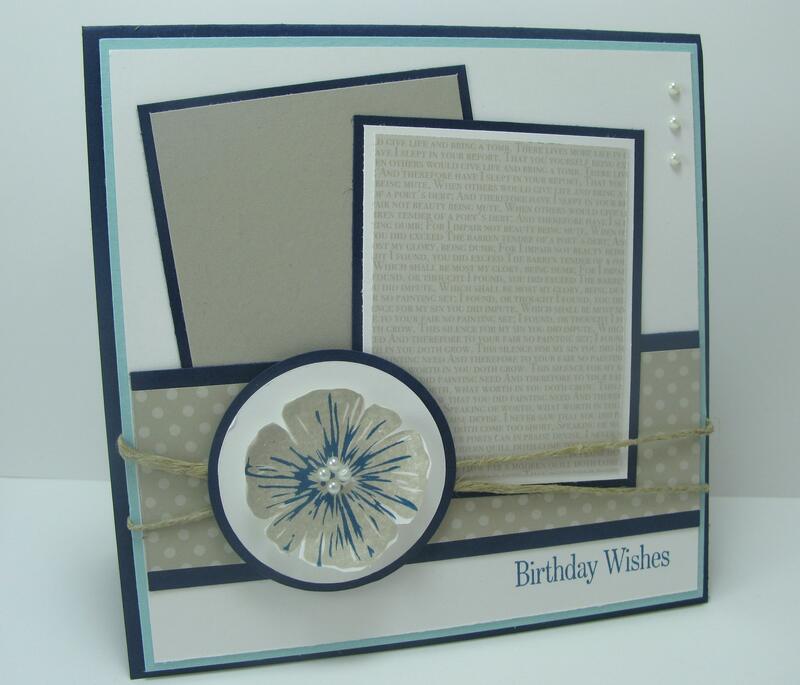 The card I’ve made is for the challenge at Create with Connie & Mary. 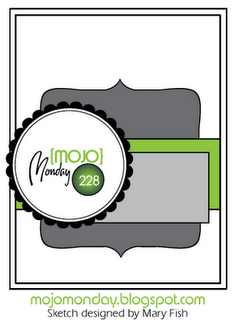 This week is a colour challenge and the colours they’ve chosen are sooooo not me (I usually start with Basic Black!). It’s so good to enter challenges as they take you out of your comfort zone. It’s official – I’m addicted to challenges! I guess that’s not a bad thing for all of us stampers, but sometimes I think I should be cleaning rather than feeding my addiction. 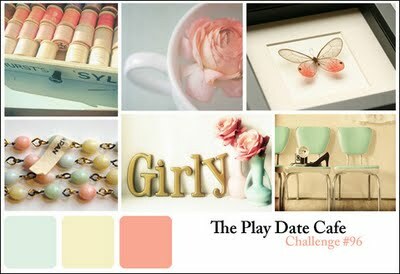 My card this morning is for the Play Date Cafe Challenge and this is their colour palette we used for our creations. 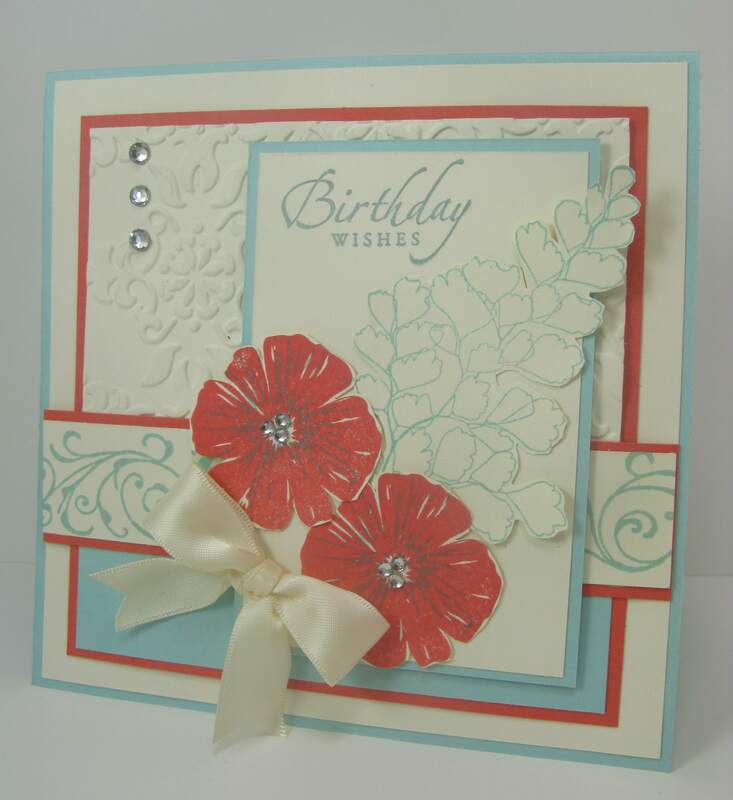 The colours I’ve used for my card are Night of Navy, Blushing Bride, Pear Pizzazz, Pear Pizazz & Blushing Bride DSP and Whisper White. 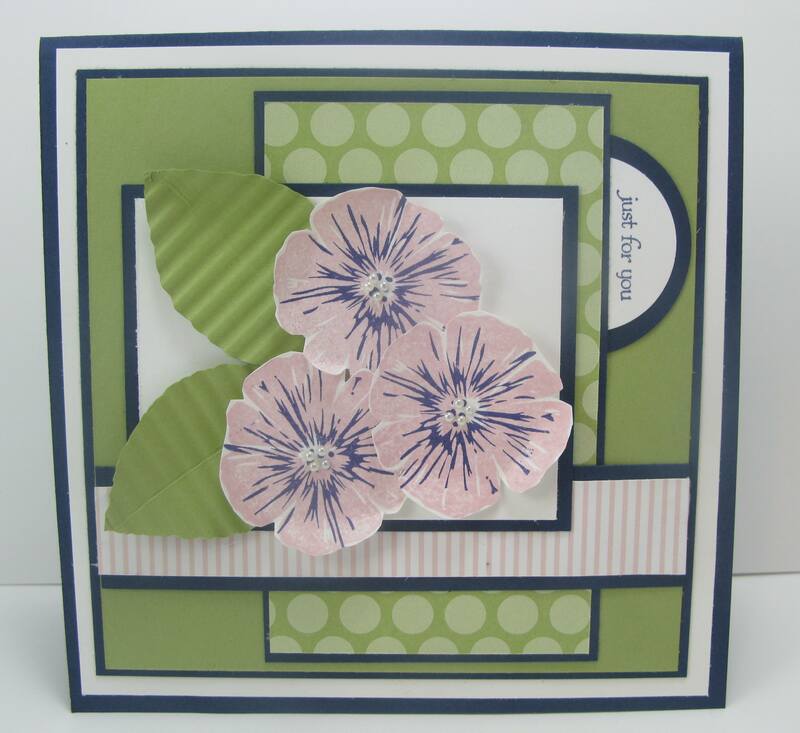 I’ve used Greenhouse Garden again as it’s my new stamp set and I can’t get enough of it. 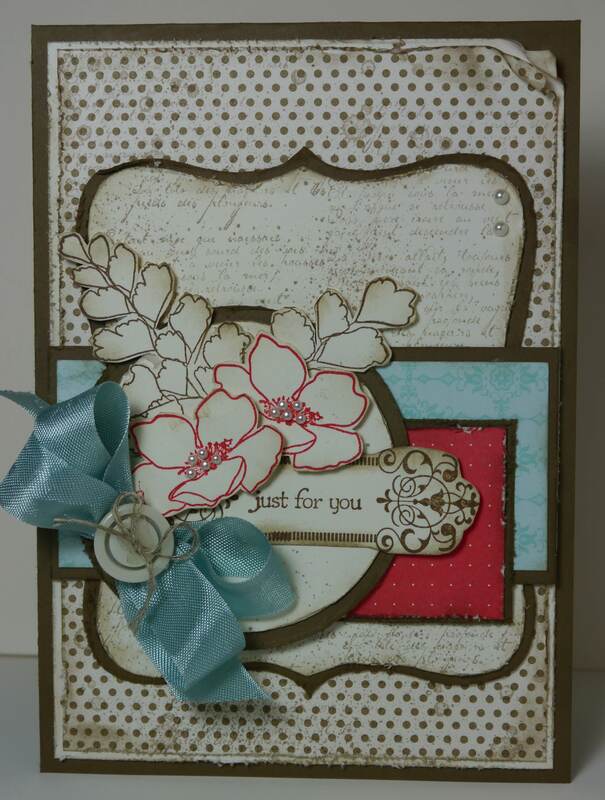 I stamped the flowers in Blushing Bride and Concord Crush (as I don’t have any Night of Navy ink yet). I then made up some leaves, scored a crease in them and then ran them thru my crimper. I added a few basic pearls, curled the petals upwards and the flowers were done. I stamped the greeting in a circle as I have seen this on a previous sketch challenge at The Sweet Stop Challenges and thought it looked effective. 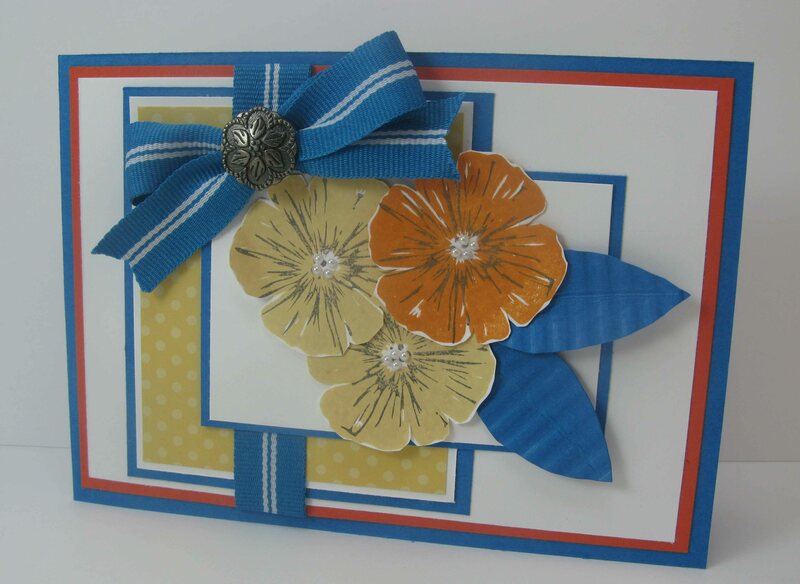 Who would’ve thought that I actually loved making a card that had Daffodil Delight in it? 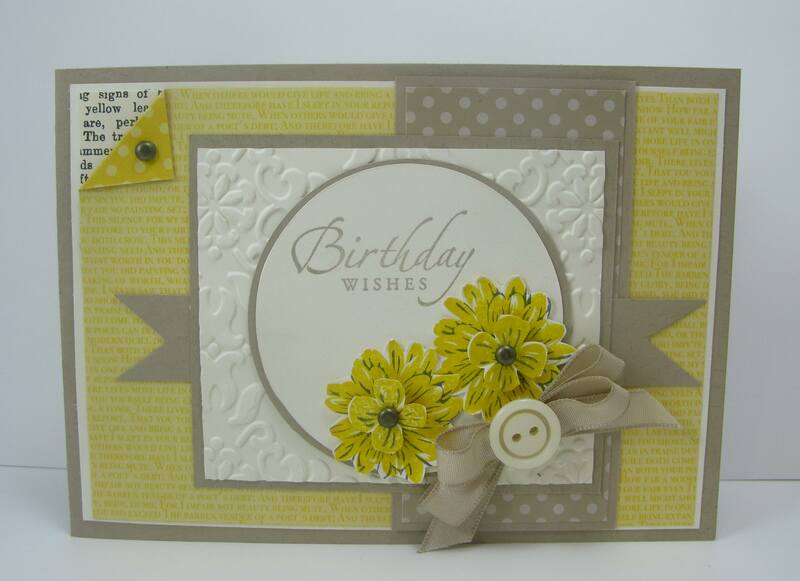 Yellow is not a colour that comes to mind when I sit down and make a card. I’m generally the Basic Black, Early Espresso, Crumb Cake – well, neutral colour kinda girl. 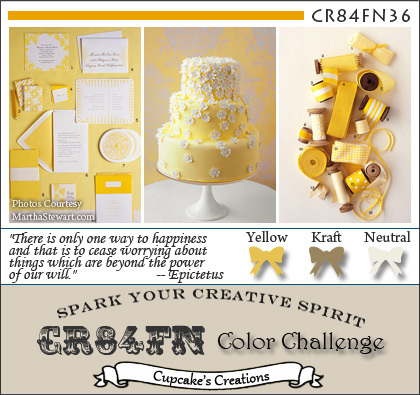 The colour palette at CR84FN Challenge this week is Kraft, Yellow & Neutral – gorgeous together and not one I would normally put together, but I’m so glad I had a go at it. 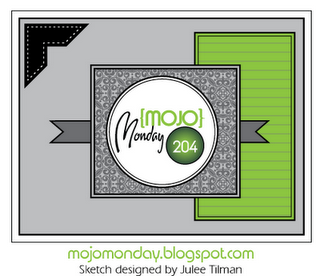 I’ve teamed it with this weeks sketch at Mojo Monday and came up with the following card.